I’ve written before about wanting to get the kitchen finished now we’ve been here a year (exactly a year last week in fact!) and we’re almost done with the kitchen! We had two windows replaced just after christmas for double glazed ones and it’s made a huge difference to the room. One was a big bay window which we’ve kept the curtains on but the two smaller windows now have matching roman blinds thanks to Made to Measure Blinds. 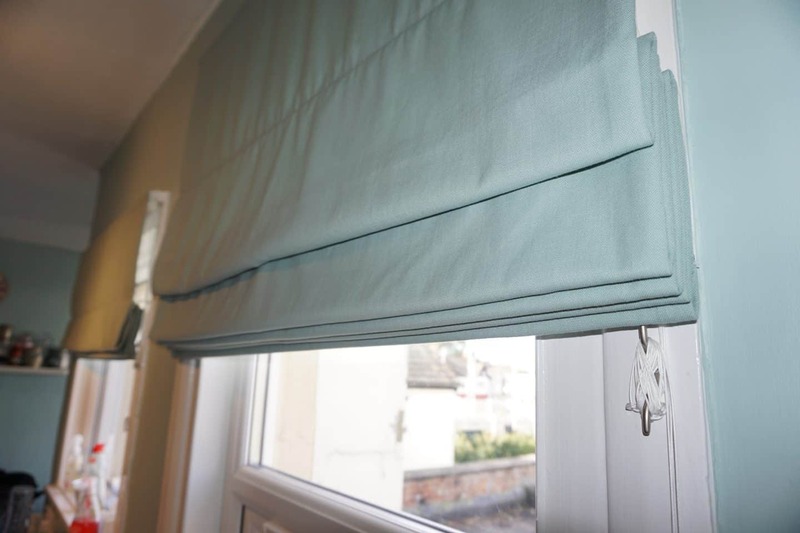 I’ve always loved how roman blinds looked but never had the opportunity to have them before and although my MIL had offered to make us some she’s been let off the hook now! I must admit I find anything that I have to measure exactly a little stressful and because you can fit the roman blinds in or over the recess you have to be super careful of the measurements you take. There is a video and clear instructions on the website though to give you guidance, and when I had some queries the team were very helpful and patient with me! I still managed to add a zero onto the end of a drop measurement however but they picked up on that, assumed I didn’t live in a castle and therefore didn’t need a 940cm drop! I wish! Anyway once the measurements were all sorted I just had to decide on the material. There were some lovely patterns and colours to choose from, but because we have quite intricate tiles on the kitchen floor I thought a plain design would be better, so picked a light sage green to match the walls and floor tiles. I was impressed with how good a match the on screen swatch was to the finished item! You can order up to ten sample fabrics though if you are fussier than me, but I quite like to throw caution to the wind and it paid off as they go really well with the paint on the walls. They arrived within 5 working days via courier and I just had to wait for Sam to get home from his holiday to put them up! I probably could have done it myself if I knew how to put the ladder up, and didn’t have two small kids ‘helping’ at every turn, plus this way if it went wrong I had someone else to blame! It took him about fifteen minutes in total to put up both blinds so not long at all, the fiddliest and most time consuming but was working out where to put the toggle so that it hung low enough for me to reach it but high enough that the kids couldn’t! All the fixtures and fittings that you need come within the package including the little hook to keep the cord secure. 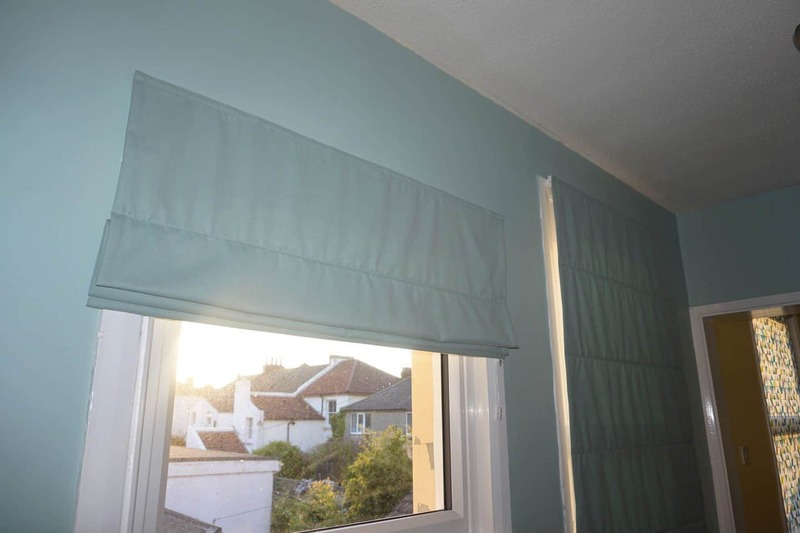 I love how roman blinds look, they’re just so much more aesthetically pleasing than a roller blind! It’s also incredibly satisfying winding the cord in a figure of eight around the hook to keep them safely stored away. 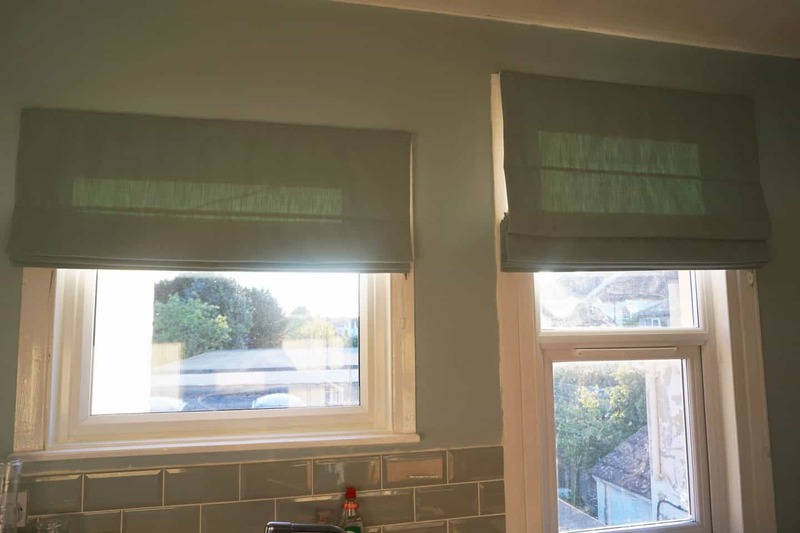 Our windows are west facing so we get a lot of low light in the evenings that can make cooking and washing up a tricky job as you end up squinting so having blinds has made the room not only look so much nicer but also more comfortable to be in! 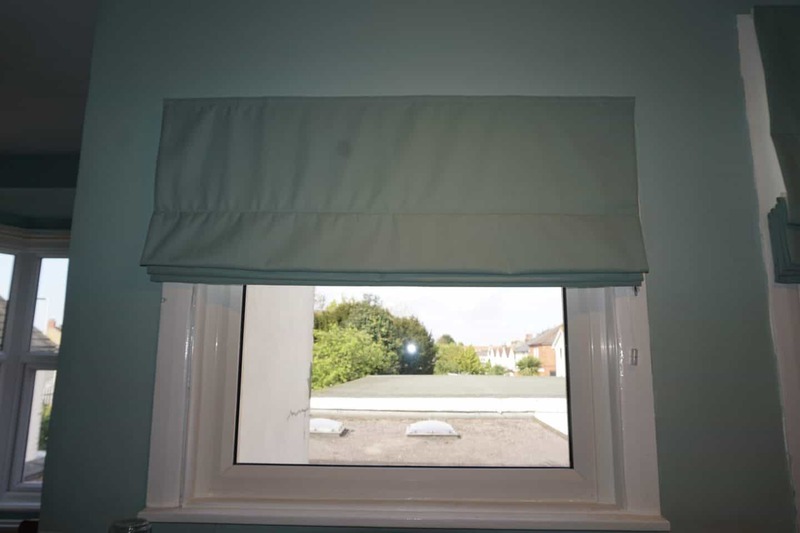 Made to Measure Blinds sell all style of blind though, including wooden, Venetian and black out blinds. We were provided with a pair of blinds for the purpose of this review, all words and opinions are my own. Next Post 10 Little Things That Make Me Happy! I much prefer Roman blinds to the wooden slatted ones or roller blinds. These look great, glad they were easy to put up too, always a worry!